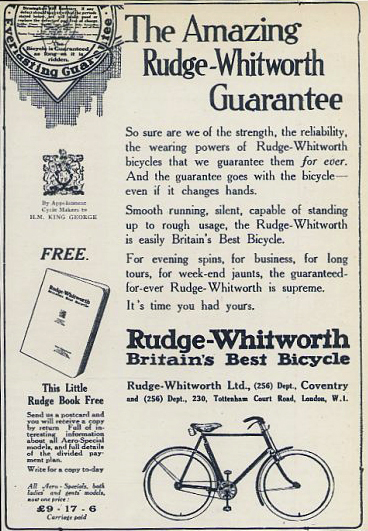 ‘For evening spins, for business, for long tours, for weekend jaunts, the guaranteed-forever Rudge-Whitworth is supreme. 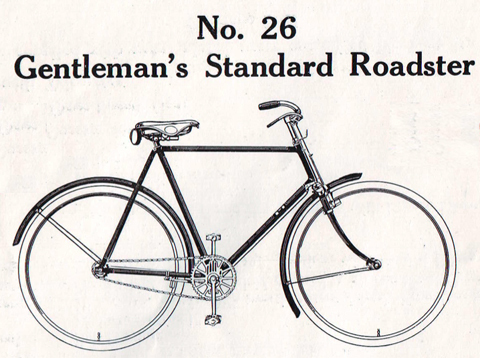 It might be hard to appreciate in our modern age, but 83 years ago such an epithet, reflecting one’s position in society, was afforded only by birth. 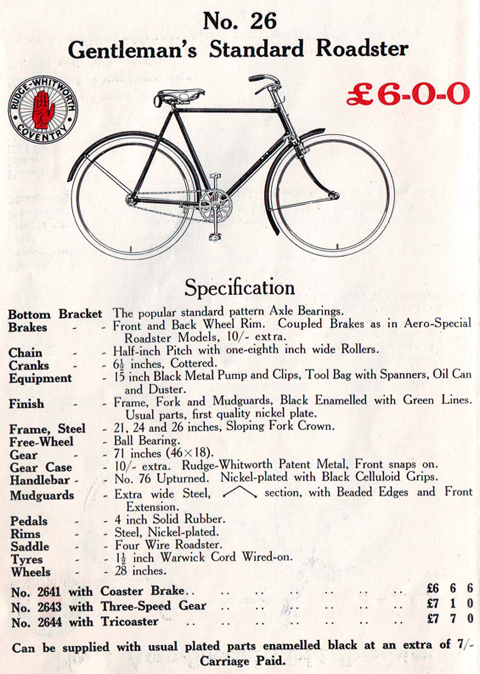 For everyone else it was an aspiration, hence unlimited opportunities for bicycle marketing departments. 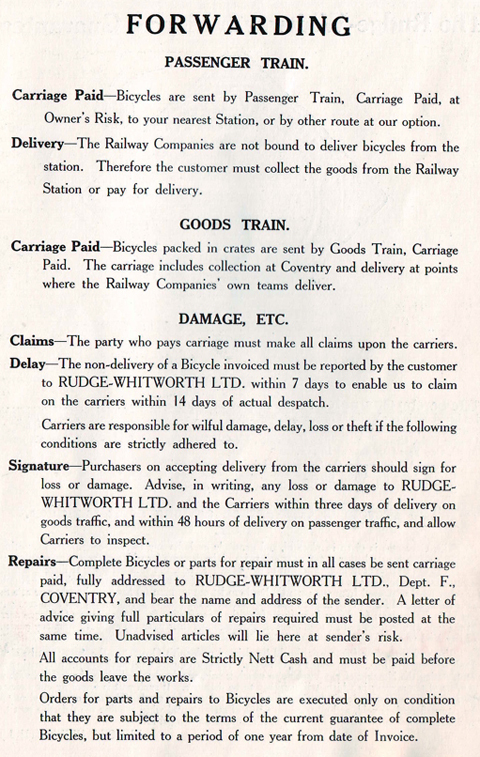 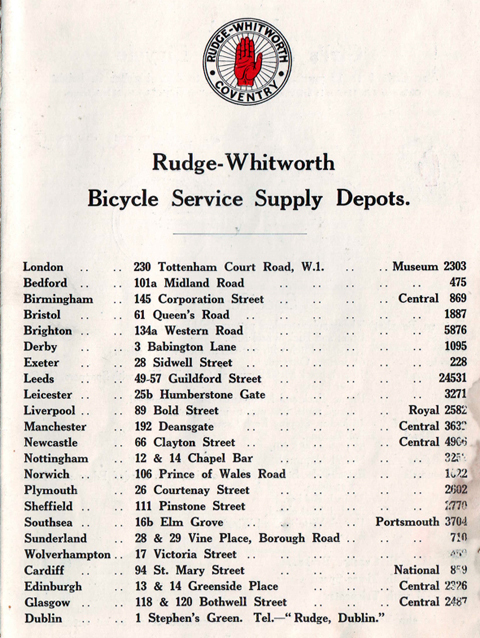 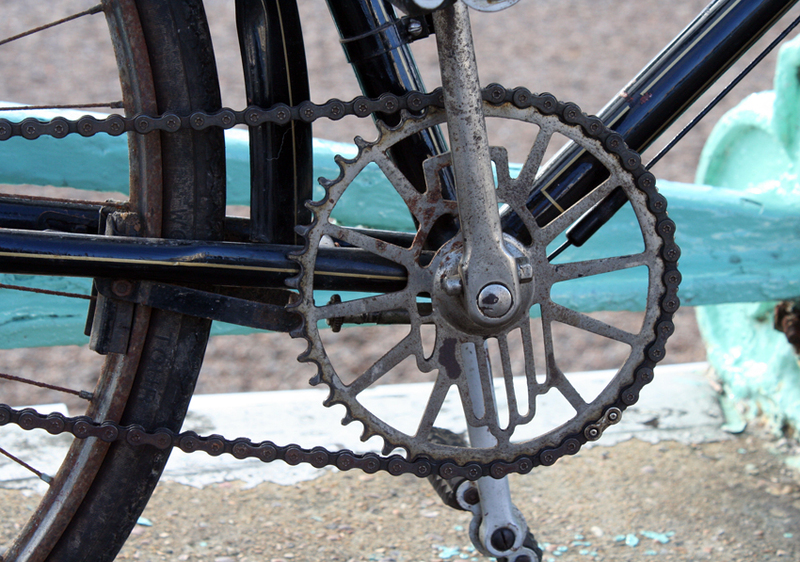 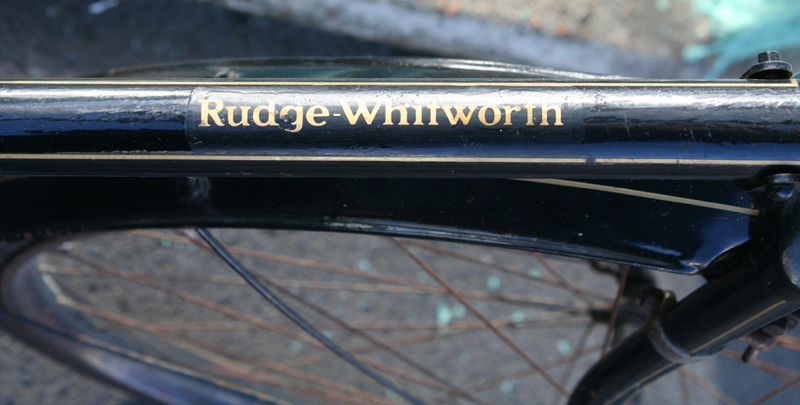 The Rudge-Whitworth name was still associated with quality at this time (the company was not taken over by Raleigh until 1943). 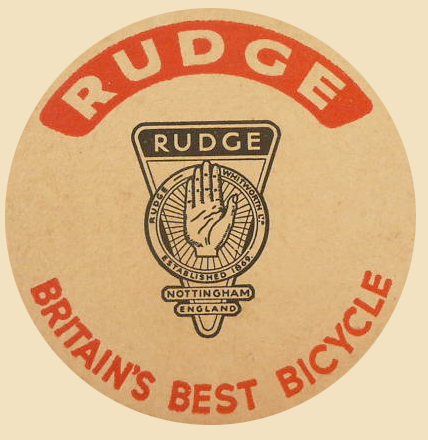 With its famous raised hand motif, a Rudge-Whitworth is a distinctive machine, and everything about it smacks of exclusivity. 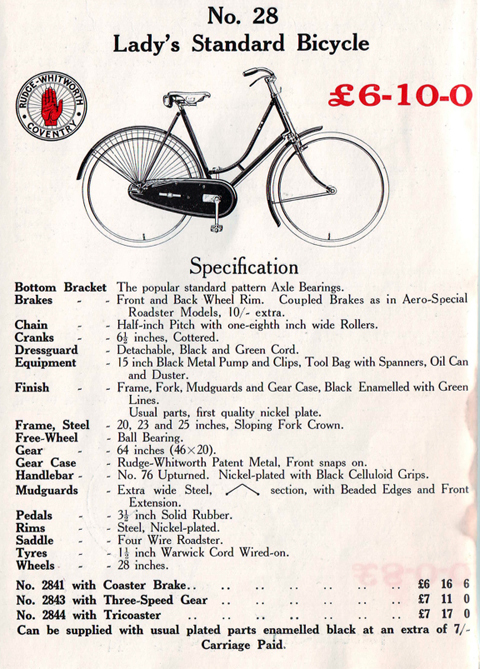 As you can see by studying the relevant page of the catalogue below, for an extra 7 shillings the purchaser could opt for the plated parts to be enamelled black. 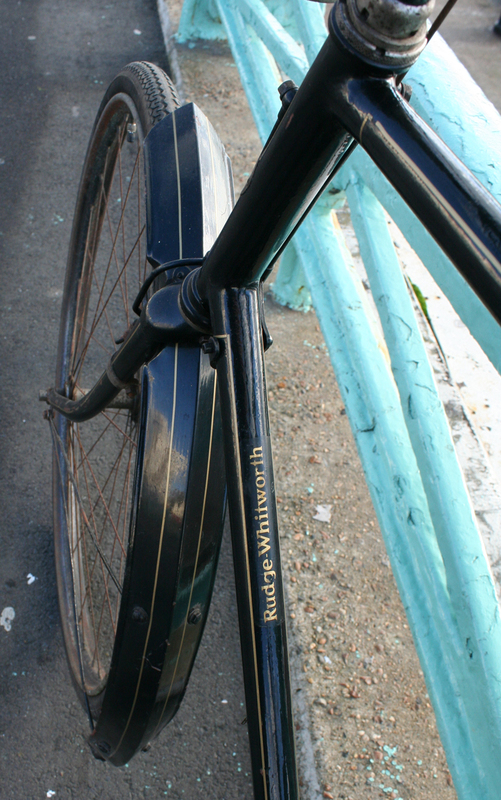 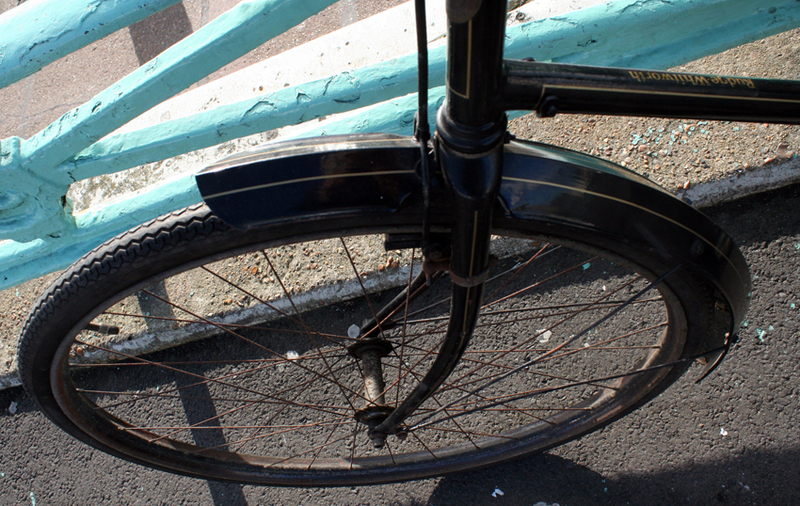 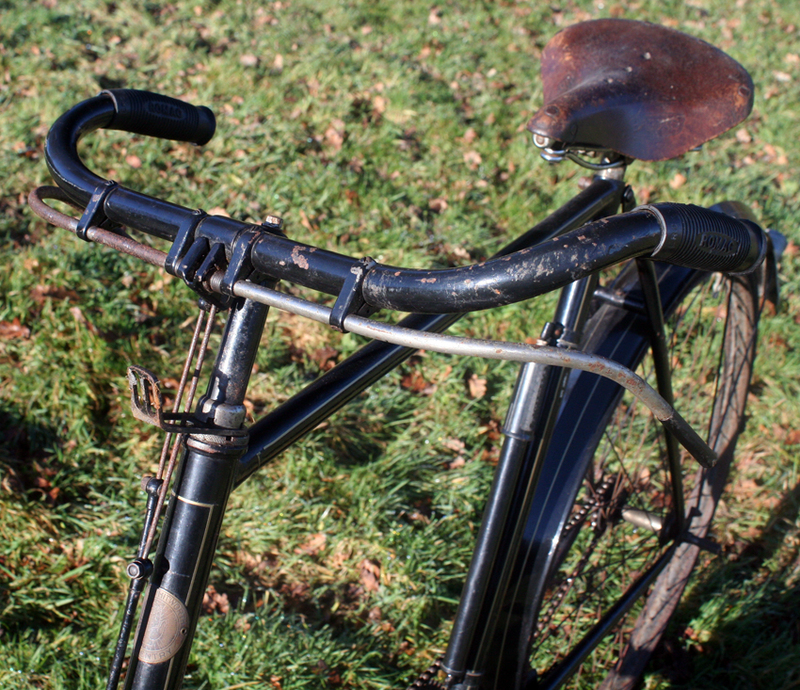 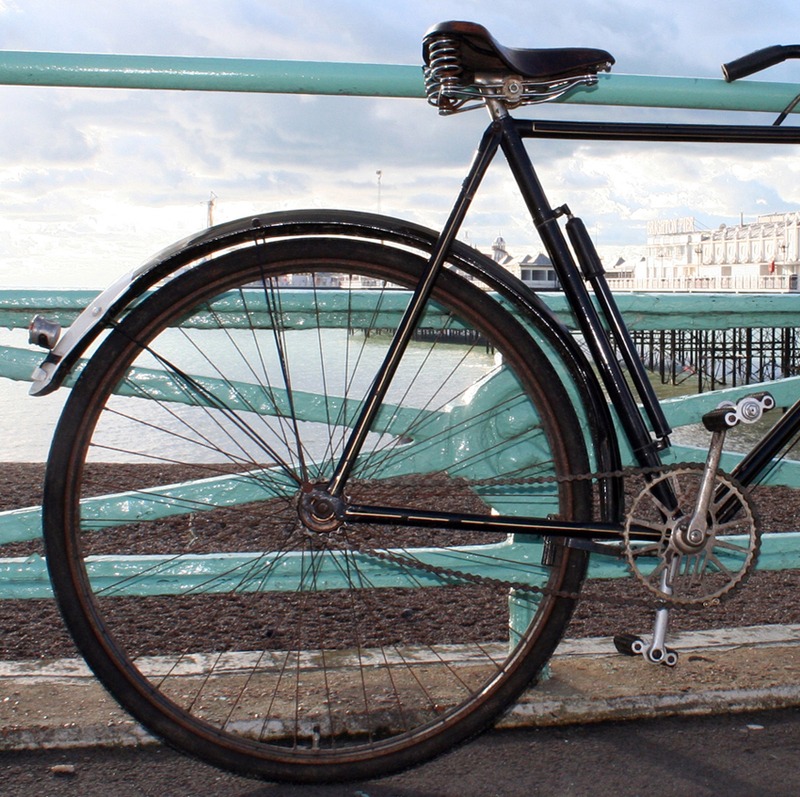 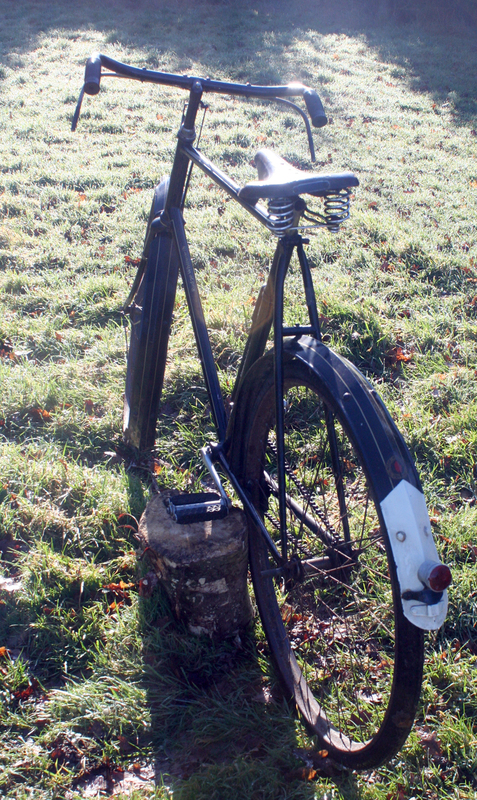 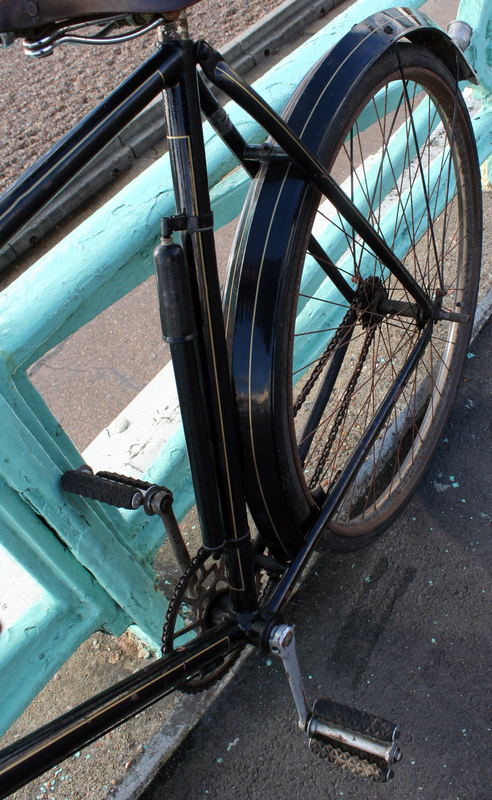 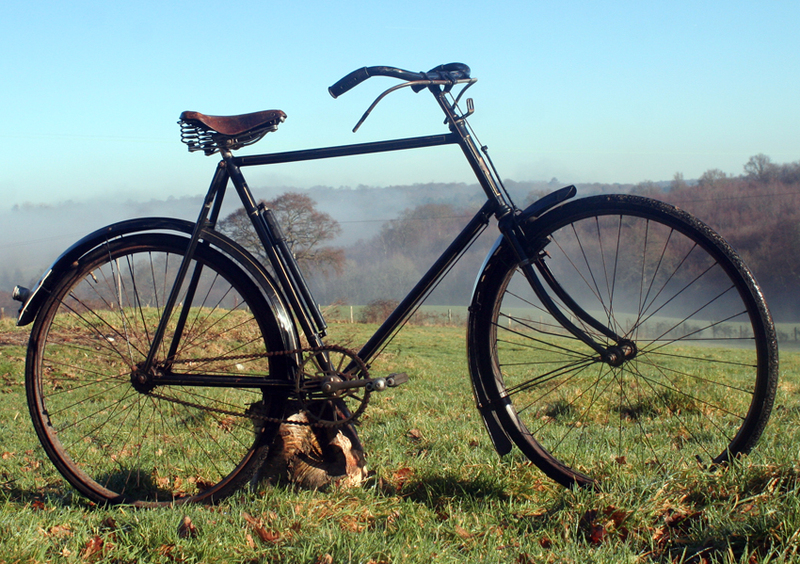 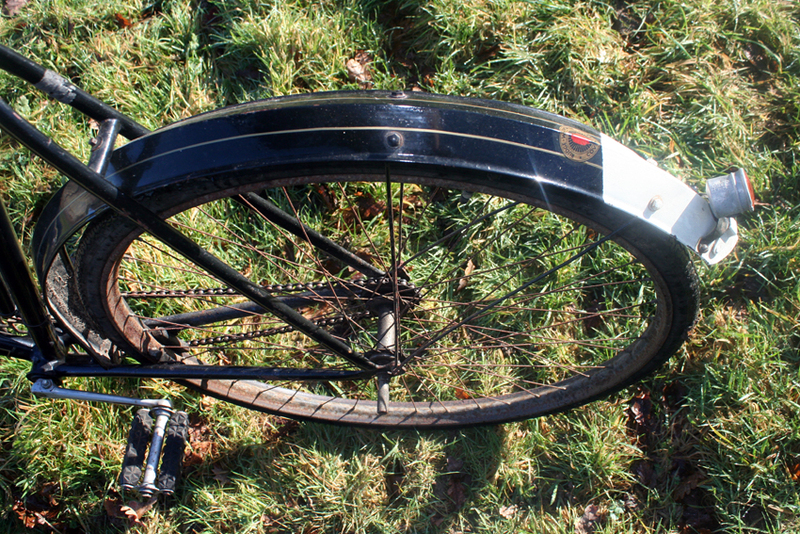 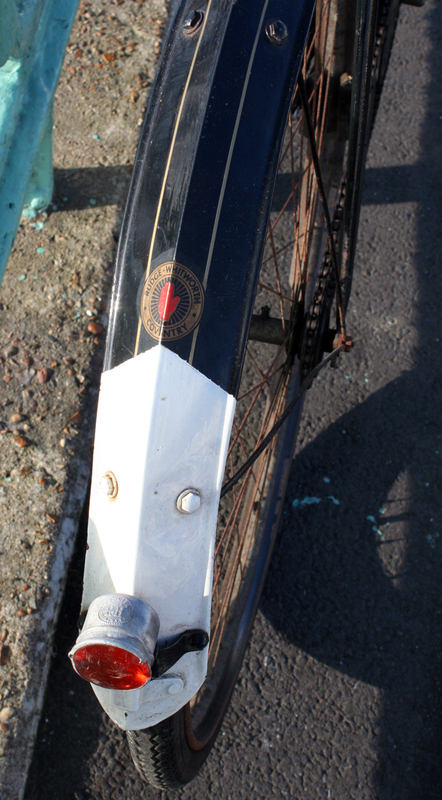 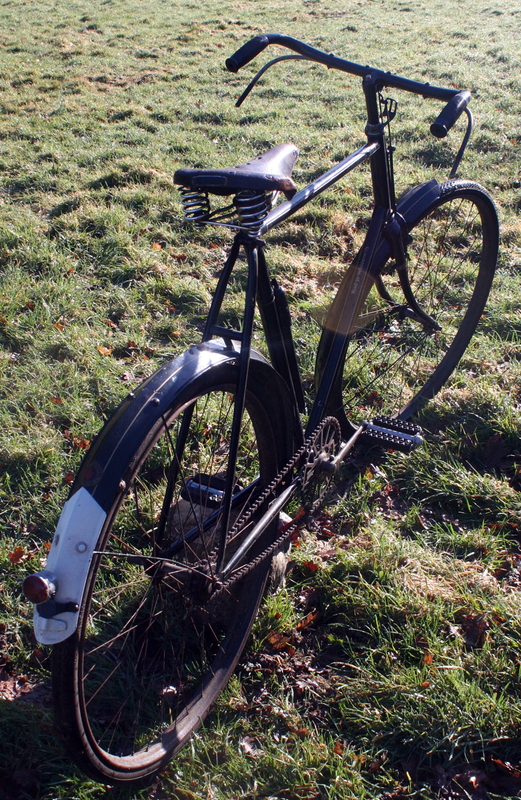 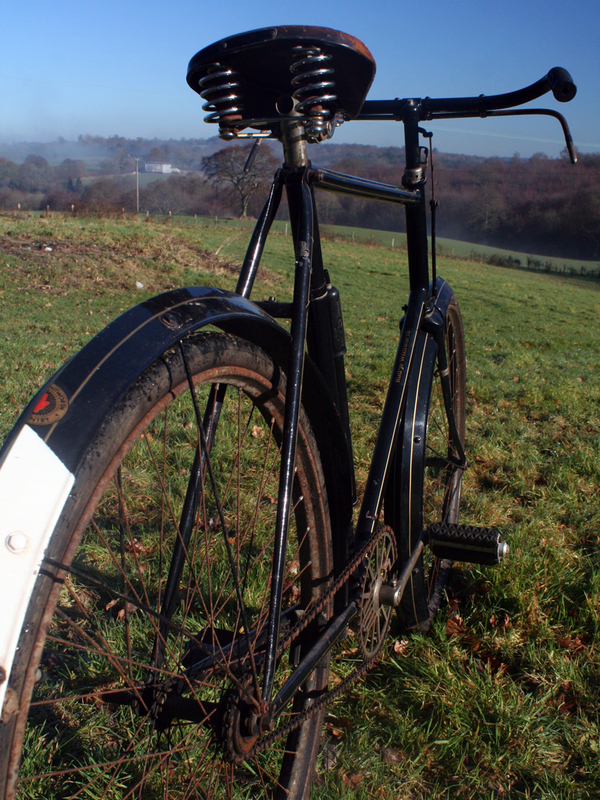 My favourite feature of Rudge-Whitworth bicycles of this era is the triangular mudguards. 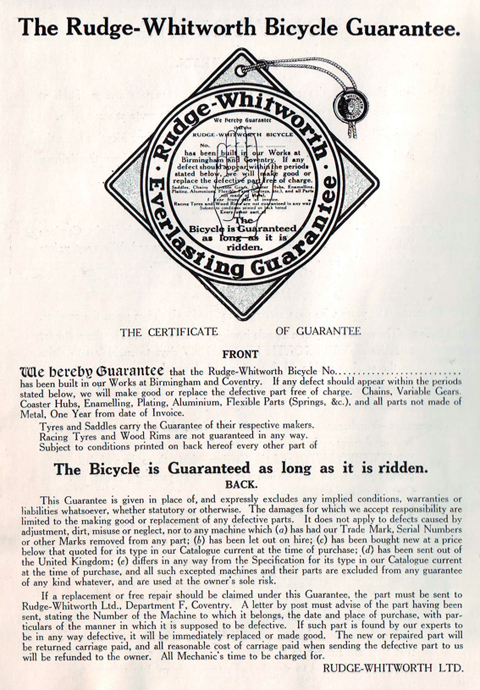 The box-lining on this bicycle is excellent. 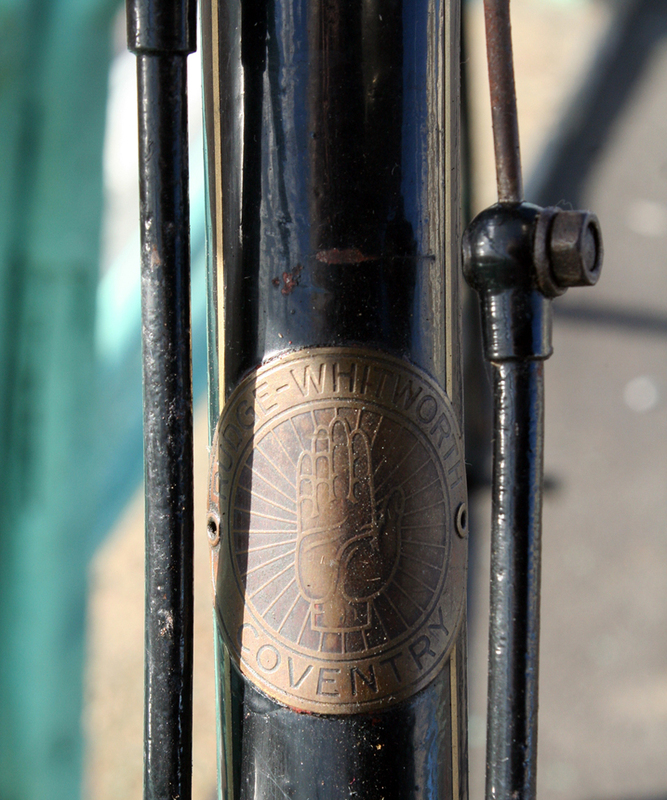 I think it has been restored at some time in its past, as the paint is in very good condition. 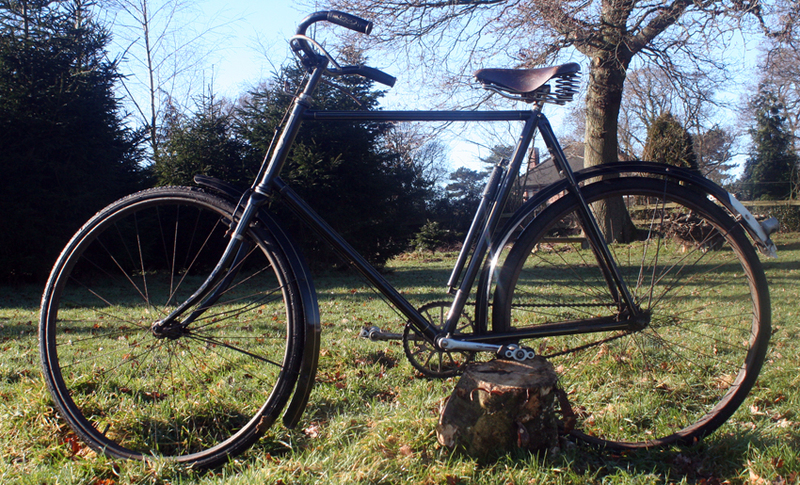 The bike is fully functional, and rides very well. 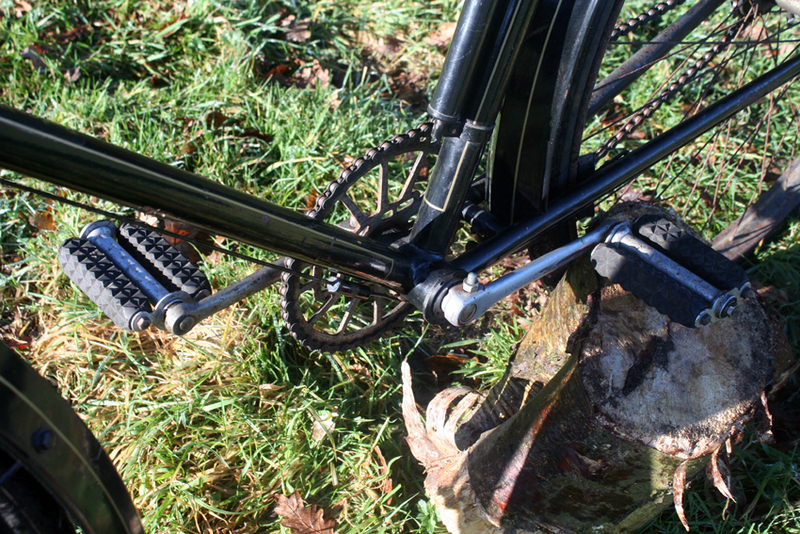 A (later) working tyre inflator pump is fitted. 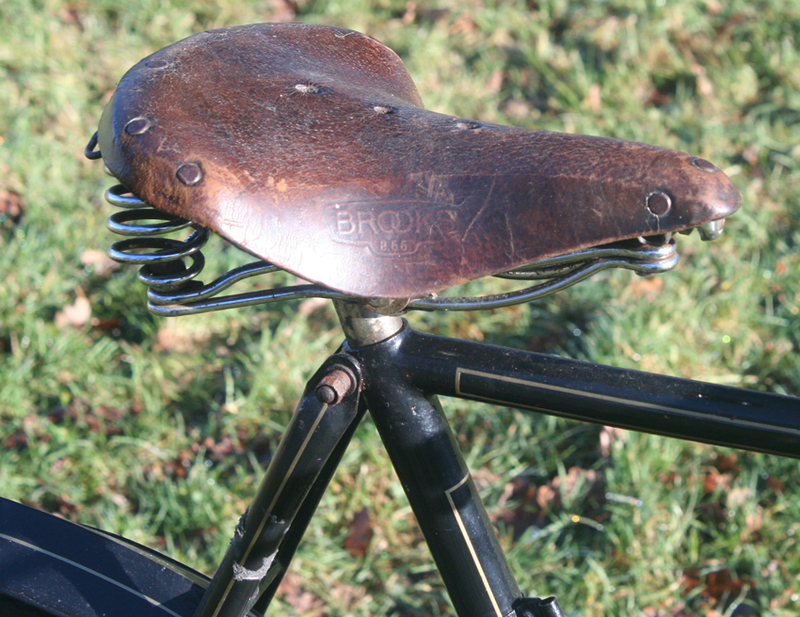 The Brooks saddle is in good condition.